Write, scribble, and draw in apps that support the HUAWEI M-Pen. Instant Notepad: Wanna jot down a quick reminder? 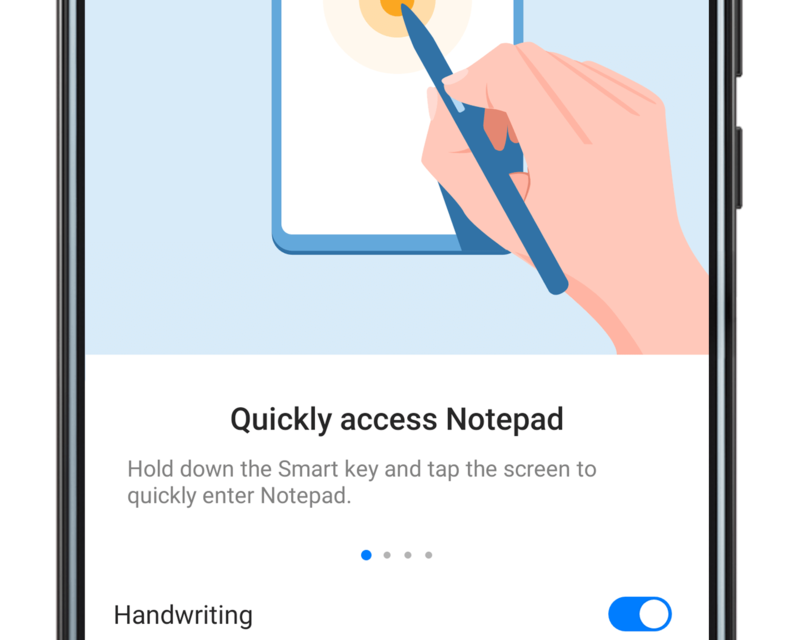 Press and hold the Smart key and tap the screen with your pen to launch Notepad. Shortcuts: Your M-Pen can also take screenshots and enter split-screen mode. Open Settings, go to Smart assistance > Handwriting for more details. Note: Visit an official Huawei retailer to check out the M-Pen today!